On an unusually cold April evening the Mets and Yankees got together for the subway series. The Mets winners of 11 in a row and one of baseball’s hottest teams were set to take on the cross town rival New York Yankees. The Mets sent pitcher Jacob deGrom to the mound while the Yankees countered with Michael Pineda. This year the series has a different tone with Derek Jeter retiring and Alex Rodriguez returning to the line up. This years subway series lacks some of the familiar faces however make no mistake this is still a tradition that fans of both teams enjoy every season and with both teams coming into the game hot it made for a game with bragging rights on the line. The game came down to the Yankees offense verses the cold bats of the Mets. Mark Teixeira had two big two run homers to blow the game wide open. His first came in the bottom of the first with Brett Gardner on first and two outs. On a 2-1 pitch Teixeira blasted a shot to the right that was not coming back. 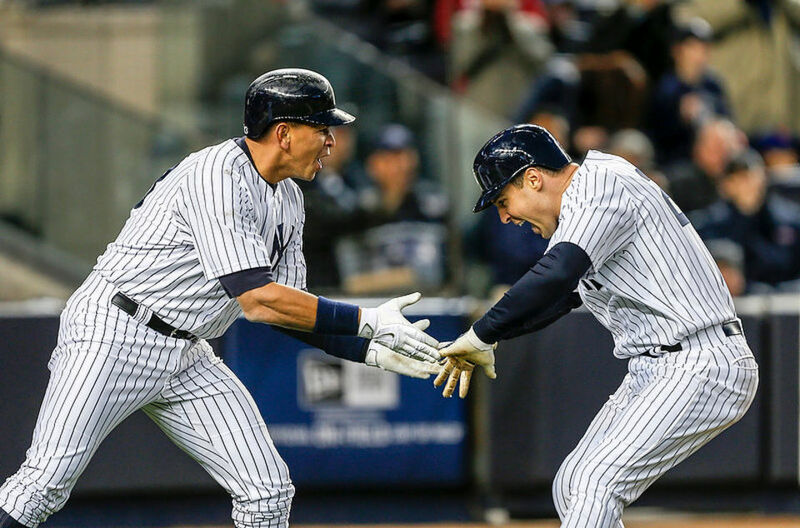 Then in the third after a solo homer by Jacoby Ellsbury, Teixeira struck again with a man on base (Alex Rodriguez) making the score 5-0 in favor of the Yankees. The Mets could never recover, former Yankee Curtis Granderson scored on a sacrifice fly out by Lucas Duda in the top of the 6th inning. For Jacob deGrom this was a tough outing allowing six runs in just 5 innings of work. The Yankees Michael Pineda improved his record to 3-0 on the season. The Yankees finished the game with 11 hits while the Mets had 5 on the night, which was one of the major factors of the game. The Mets bats went cold and they could not muster enough offense to make a comeback against the Yanks. Game 2 of the subway series is scheduled for a 4pm start on Saturday April 25th 2015 at Yankees Stadium where the Mets ace Matt Harvey goes up against CC Sabathia of the Yankees. Harvey is 3-0 while Sabathia is having a rough beginning to the season at 0-3. ← Previous Story METS Continue to WIN!